The North Carolina General Assembly recently approved a number of significant changes to the North Carolina Business Corporation Act (“NCBCA”), which the governor signed into law and which took effect on October 1, 2018 (the “Act”). The NCBCA, codified in Chapter 55 of the North Carolina General Statutes, is based upon the Model Business Corporation Act (“Model Act”), and the 2018 amendments are intended to update the NCBCA based on changes made to the Model Act as well as selected changes in state laws in other jurisdictions. This Client Alert describes certain changes to the NCBCA made by the Act that affect voting trusts and shareholder agreements. Historically voting trusts were viewed unfavorably by courts and legislatures because the true owner of the shares did not have the ability to influence the corporation’s direction by voting those shares. Instead, the voting trustee was empowered to vote the shares. Due to the unfavorable perception of voting trusts, the NCBCA, prior to the Act, had an automatic sunset provision that limited the amount of time voting trusts were valid to ten years. After ten years, the voting trust would no longer be valid and therefore would need to be renewed. Over time, however, legislatures and courts have become less protective of shareholders and more willing to allow shareholders to use voting trusts as tools to effectuate their private agreements. To reflect this change, Section 5 of the Act removed the automatic ten-year sunset provision on voting trusts in N.C. Gen. Stat. 55-7-30. The Act allows voting trusts after October 1, 2018 to be valid for possibly an unlimited amount of time. For shareholders who still want to limit the term of their voting trusts, the voting trust agreement should specify the duration of the voting trust. Voting trusts in effect before October 1, 2018 are still subject to the automatic ten-year sunset provision unless the voting trust is amended after October 1, 2018 to provide for an extended term. Only parties that sign an amendment to extend the term of a voting trust are bound by such amendment. Section 6 of the Act made several significant changes to N.C. Gen. Stat. 55-7-31, which governs shareholder agreements containing provisions that conflict with the statutory norms contained in the NCBCA. Note that if a shareholder agreement does not conflict with the default corporate governance rules set forth in the NCBCA, that shareholder agreement is not covered by N.C. Gen. Stat. 55-7-31. So, for example, two shareholders could enter into a buy-sell agreement that would be binding between them, even though all of the other shareholders of the corporation did not sign the agreement, because that kind of buy-sell arrangement does not conflict with the default corporate governance norms set forth in the NCBCA. The Act revises N.C. Gen. Stat. 55-7-31 to more clearly address: (1) how to make a valid shareholder agreement that will be enforced even though inconsistent with the default corporate governance rules set forth in the NCBCA and (2) who is bound by such shareholder agreement. A: What are the statutory requirements for a valid shareholder agreement? First, a shareholder agreement is only valid for private corporations and needs to be in writing. The agreement needs to be set forth in either the articles of incorporation, bylaws, or a separate agreement that is made known to the corporation. Second, a shareholder agreement must be approved by specified persons. For the original shareholder agreement, it needs to be unanimously approved by all persons who are shareholders at the time of the agreement (or by all incorporators or subscribers for shares if no shares are then outstanding). If the shareholder agreement is to be set forth in the articles of incorporation or bylaws, all persons who are current shareholders should approve the provisions as set forth in the articles of incorporation or bylaws. If the shareholder agreement is a separate agreement not in the articles of incorporation or the bylaws, then all shareholders at the time of the agreement must sign the written document. The Act now explicitly acknowledges that subsequent amendments to a shareholder agreement can be effected by less than all of the shareholders at the time of the amendment so long as a provision in the then-current shareholder agreement allows for amendment by less than all shareholders. Third, the Act clarifies what subject matter is valid in a shareholder agreement. Prior to the Act, the NCBCA articulated the limits to shareholder agreements by stating that a shareholder agreement would not be held invalid simply because the parties were trying to arrange their relationships as if they were partners in a partnership. However, the statute did not provide useful guidance regarding what types of shareholder agreements would be enforceable. The Act takes a more helpful approach and explicitly recognizes as valid seven specific types of provisions that are frequently included in shareholder agreements. This list expressly allows provisions that: (1) eliminate or restrict the powers of the board of directors; (2) govern the authorization of distributions; (3) establish the board of directors or officers; (4) authorize the exercise of weighted voting power; (5) govern transfers of property between the corporation and a related person; (6) transfer authority to exercise corporate powers; and (7) require dissolution of the corporation at the request of certain shareholders or upon the occurrence of a specified event or contingency. This list is not all encompassing. In addition to the seven specific types of provisions, there is an additional “catch-all” provision that would validate any other provision that addresses the exercise of corporate powers, the management of the business and affairs of the corporation, or the relationship between and among the shareholders, the directors, and the corporation or any of them, so long as such provision is not contrary to public policy. The reach of this catch-all provision, though expansive, is not unlimited. For example, a shareholder agreement that purported to relieve directors of their duty of loyalty to the corporation would likely not be valid because such an agreement presumably would be contrary to public policy. Finally, the Act contains an affirmative requirement that the share certificate (or, in the case of a corporation with uncertificated shares, the information statement required by N.C. Gen. Stat. 55-6-26(b)) conspicuously note the existence of a shareholder agreement. Although the failure to abide by this notice requirement does not affect the validity of the shareholder agreement or any action taken pursuant to the shareholder agreement, a person who acquires shares without knowledge of the existence of a shareholder agreement has a right for a limited period to unwind or rescind the purchase as explained in the next section. B: Who is bound by a shareholder agreement? Shareholders who approve the shareholder agreement as described above are bound by its terms. Under the NCBCA, prior to the Act, a shareholder agreement with a provision regarding voting had an automatic sunset provision after ten years similar to the sunset provision described above for voting trusts based upon similar concerns that the true owners of the shares should not be deprived of their voting rights for an unreasonable amount of time. The Act removed the automatic sunset provision making shareholder voting agreements entered into after October 1, 2018 valid for their stated duration. A shareholder agreement relating to voting that was entered into prior to October 1, 2018 will still be subject to the automatic ten-year sunset provision, unless it is amended after October 1, 2018 to provide otherwise. The Act will impact the issuance or transfer of shares subject to a shareholder agreement where the purchaser does not have knowledge of the shareholder agreement. The Act affirms the validity of a shareholder agreement on all purchasers, even if the purchaser does not have knowledge of the agreement. However, the Act clarifies who is charged with knowledge of a shareholder agreement and when, depending on the facts, a purchaser of shares may be allowed a rescission remedy. If a purchaser did not have knowledge of a shareholder agreement at the time of purchase, then the purchaser is allowed a rescission remedy by the earlier of 90 days after discovery of the existence of the agreement or two years after the time of purchase of the shares. A purchaser is deemed to have knowledge of a shareholder agreement if before the time of purchase of the shares the purchaser received a share certificate (or, in the case of a corporation with uncertificated shares, the information statement required by N.C. Gen. Stat. 55-6-26(b)) that conspicuously noted the existence of the shareholder agreement. If the purchaser does not timely exercise the rescission right, the purchaser thereafter will continue to be bound by the shareholder agreement with respect to those shares. As is outlined above, the Act makes significant changes to the provisions governing voting trusts and shareholder agreements. We recommend that North Carolina corporations, persons who are a member to a voting trust or shareholder agreement, and persons who may be a member of a voting trust or shareholder agreement in the future, understand the impact of these changes. Further information regarding these and other provisions in Act can be found here. Special thanks to contributing writer Andrew Wasilick, current student at the University of North Carolina School of Law. 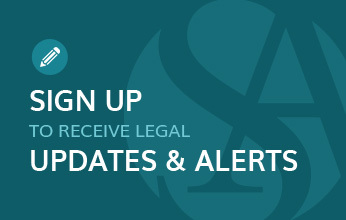 If you have any questions about the recent changes in the Act or questions about the information in this Alert, please contact Dave Clement, Justin Truesdale, or the Smith Anderson lawyer with whom you normally work. Senate Bill 622 (Session Law 2018-45), https://www.ncleg.net/Sessions/2017/Bills/Senate/PDF/S622v5.pdf. Prior to the Act, N.C. Gen. Stat. 55-6-27 required that stock certificates or information statements, as applicable, note the existence of shareholder agreements that restricted the transfer or registration of transfer of shares, but the NCBCA did not have a similar notice requirement for other types of shareholder agreements.